HELLO! I am Arlyna and welcome to my little corner. I have been an artist and designer for as long as I can remember. I was drawing a lot of Wonder Woman in kindergarten and had been the designated class artist ever since. My love for art stuck with me and took it upon myself to continuously hone my skills. I went to study Chinese painting and calligraphy in Tianjin when China was just starting to open its doors to the outside world. I fell in love with this country’s history and culture, and this inspires my personal artworks even up today. Aside from being a hands-on mum to my twins, I’m a full-time graphic designer and entrepreneur, running my own design firm in Shanghai (www.yaean.com). 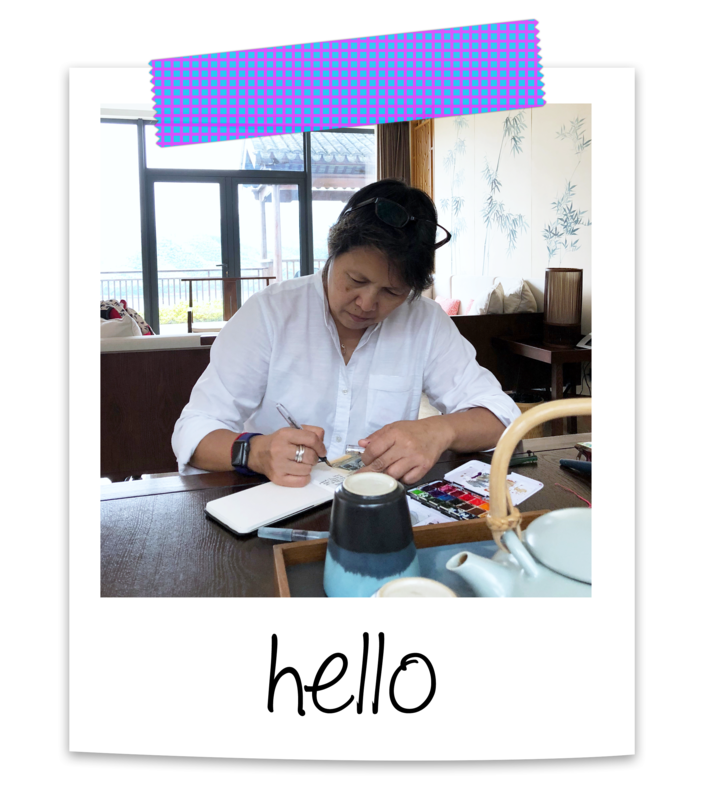 During my free time, I’m a knitter, crocheter, sewist, scrapbooker, art journaler, urban sketcher, gardener, watercolor painter, wanderlust, calligrapher, postcrossing ambassador, traveler… yes, I’m a hobbyist! This blog is dedicated to my daily inspirations, travel mementos, creative scribbles, and everything else in between. thank you… unfortunately I don’t have the German instructions… sorry. I don’t know if this AliExpress shop is yours. it seems more plausible that somebody plagiarized you. OMG!!! Thank you for letting me know. This is certainly my design but not my website! I will get to it ASAP. Thank you again!